All photos by Olimpia Possati. Her family owns the legendary Bauers Hotels in Venice and her mother, Francesca Bortolotto Possati, may as well be the city's godmother. We've known Olimpia for a decade, since she was a teenager, and have hung out with her in New York and in Venice. 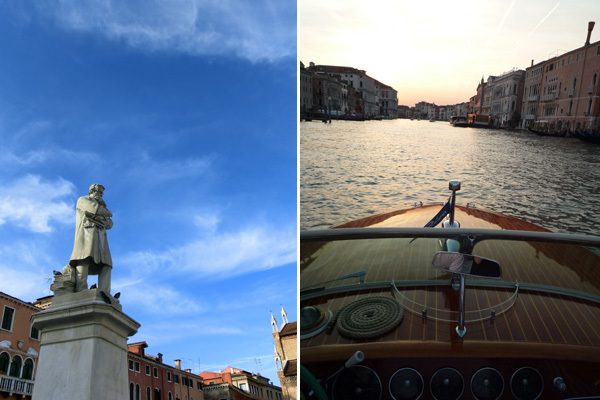 We can't think of a more chic and lovely guide than the real-life Eloise of Venice. 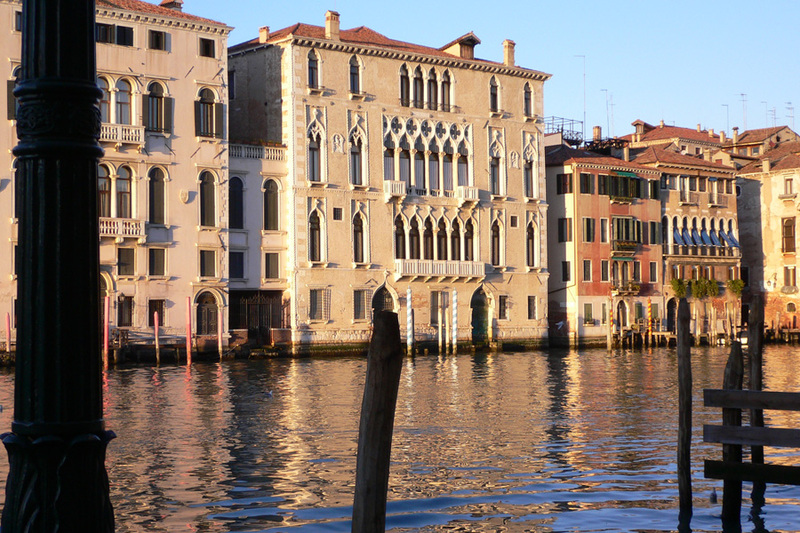 VENICE – I live in the heart of Venice in the Grand Canal and I've lived here almost all of my life. 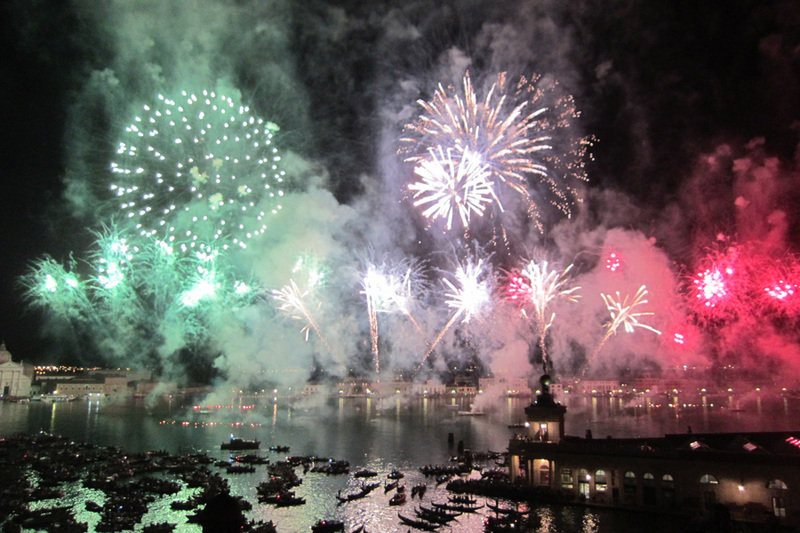 Born American and raised Venetian, I have been a world traveler since I was a year old. I love to travel, to see and experience new cultures everywhere I go. I document what I've seen on my blog askolimpia.com and offer advice to fellow globetrotters. 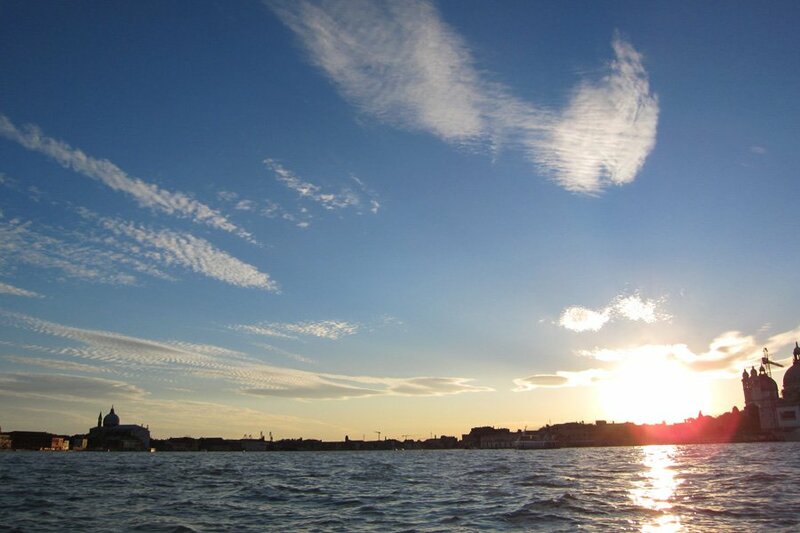 But no matter where I go, my home will always be in Venezia. Harry's Bar may have begun as just a bar, but it is so much more. It offers the very essence of the café society that once played so large a part in the affairs of Europe. The atmosphere of the restaurant, the warm intimacy, the familiar company, the staff I know so well, the evergreen dishes that never disappoint — all of this creates the impression of being part of an exclusive club, an impression only the best European café can give. This gourmet restaurant may not be brand new anymore, but Venice has a different pace from other cities, and for me the latest Alajmo brothers venue remains the best new addition to the city's restaurant scene. 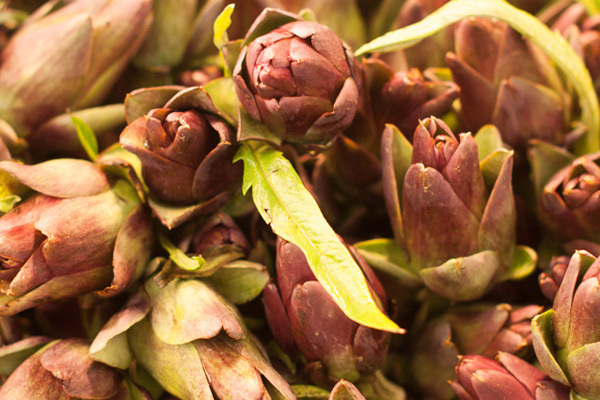 I love food markets, and starting the day shopping at the Rialto market and at the nearby specialty shops is always a colorful and joyful experience. On the way to the fish market, this is the best place to stop. My morning only starts with a good espresso. Whether you have just half an hour or the entire day to dedicate to yourself, after leaving this spa you’ll feel brand new and incredibly relaxed with all of your worries washed away. Maybe I'm biased, since the spa is located in one of my family's hotels, but it's just that great. Two young designer/architects, Massimiliano Battois and Silvano Arnoldo, own a small shop where they design beautiful and unique leather handbags and fun clothes. An old-world printing shop that makes custom engraved stationery. It is a great place to order elegant letterpress such as libris, business cards, and stationery. The owner custom prints for writers, movie stars (like Hugh Grant), celebrities, and even nobility. Another one of my family's places, but for good reason. Nothing can beat tasting the specialties served by Japanese chef Hiraki as you look out onto Santa Maria della Salute and the San Marco basin while listening to the sound of water and gondolas passing by and feeling the light breeze of a summer night on your skin. Very romantic! Owned by the Lorenzon family, this small restaurant and wine bar is the place to go when you're looking for a relaxed night out. It also has a great Venetian menu that changes daily and an amazing wine list. 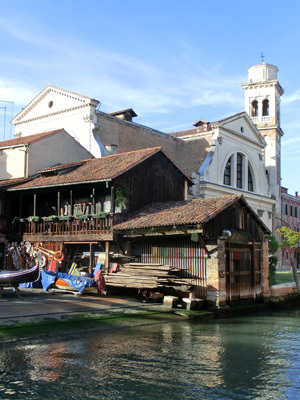 A favorite spot for locals and tourists, facing the square of San Trovaso (a gondola repair shop). It's family-run, and the mother makes the best cicchetti you will ever eat, while her sons will choose your wine from one of the greatest selections in town. 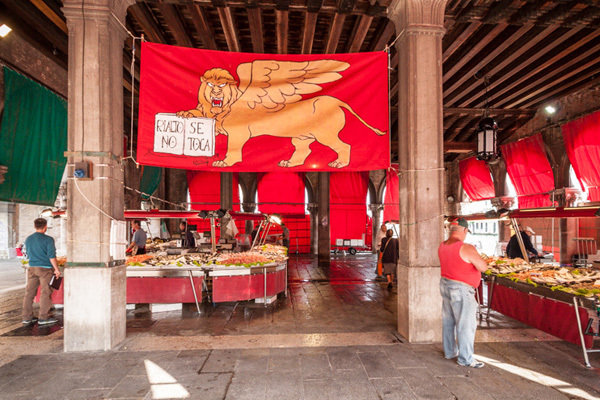 The biggest sestriere in Venice is very residential — great when you are trying to escape the rush of tourists. I come to discover local shops and bars and to walk through the gardens of the Biennale and the beautiful Arsenale. One of my favorite places is Serra dei Giardini. The small island opposite St. Mark's Square is simple but sophisticated. 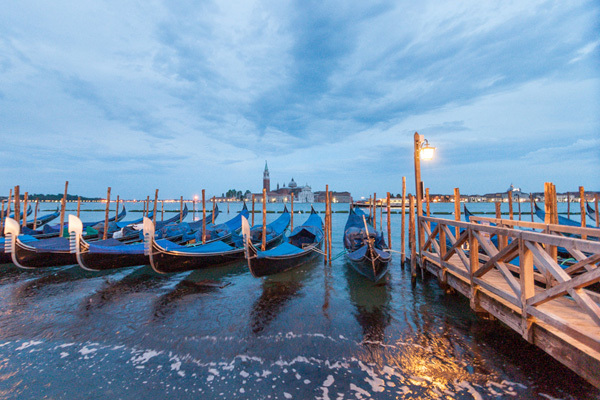 Look out at the seemingly neverending lagoon from the new Compagnia della Vela guest house, wander through the amazing Borges labyrinth, see the new Museo del Vetro at Fondazione Cini, or go at the top of the San Giorgio bell tower. On a clear day, you can see as far as the Alps. The jewel of Venetian churches, the polychrome marbled façade, the pastel palette of colors in the elegant interior, and the intricate decorations make it a prime example of Renaissance architecture. The church was built in honor of an image of the Virgin Mary that was responsible for a series of miracles and is now displayed over the main altar. 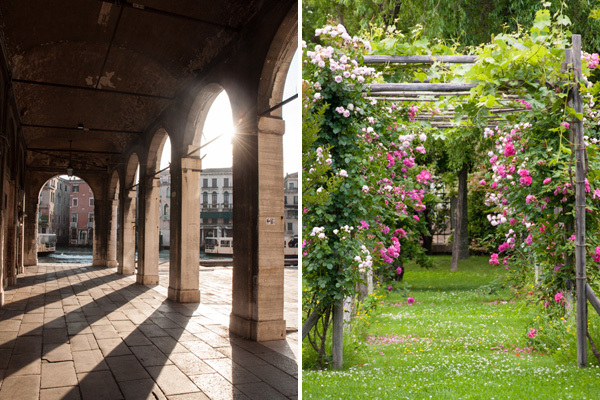 So many people can't even imagine that Venice, a city floating in water, has amazing gardens just five minutes away from San Marco, a lush green heaven that feels like you are stepping into a Tuscan countryside. A walk along the garden's beaten paths is like a dip into a sea of flowers. The gazebos are hidden behind climbing roses, giant hydrangeas, tulips with mottled petals, and clusters of wisteria and camphor. At the south end of the Lido near the beautiful eighteen-hole golf course is an sand beach with clear shallow seas and fishermen's cabanas where you can grab a quick snack. 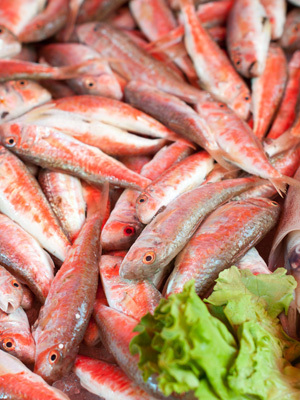 Codfish is made many ways around the world, but nothing can beat the Venetian way of doing it. You cannot describe it, you just have to taste it! Ponte dei Sospiri in Piazza San Marco. Sigh! 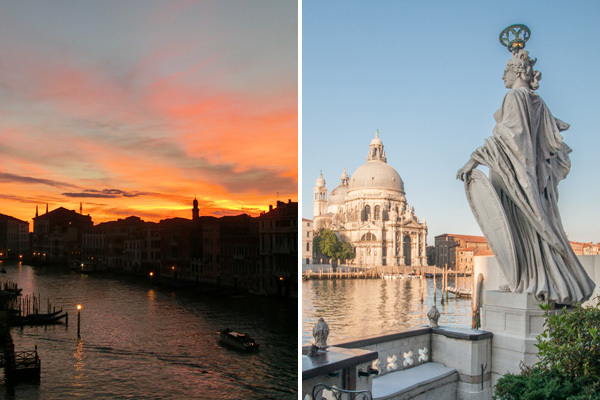 Situated atop the best panoramic view in Venice is a statue of Palla d'Oro, a symbol of the world, raised by two bronze atlases. On top of the statue, the figure of Fortune acts as a weathervane. When you're facing it, you should make a wish. It's tradition. In the winter, this is the chicest and trendiest night club in town, with black leather chairs, gold glass walls, great music, and the largest collection of vodka, whiskey, and Champagne you will find. Driving your own boat around canals. Rent it at Brussa. No license needed. Olimpia is a travel blogger who organizes events for The Bauer Hotel. 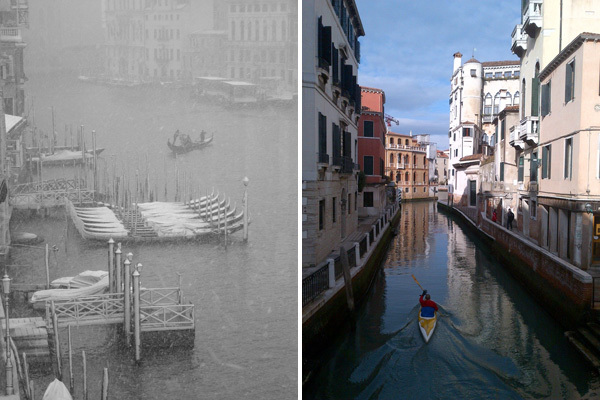 Born in America, she grew up in Venice, Italy, where she still resides today. You can follow her on Twitter @OlimpiaP. She travels for the food, for the music, and to satisfy her insatiable curiosity.